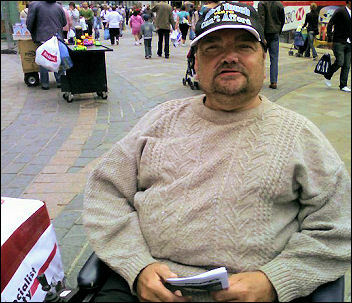 Stop Nottingham Labour's cuts to disabled travel! "We're making more cuts! You ain't seen nothing yet!" This was the comment of Graham Chapman, deputy leader of Nottingham's Labour council when asked about cuts to the disabled person's mobility card, which gives free bus and tram travel. "How many more will suffer?"